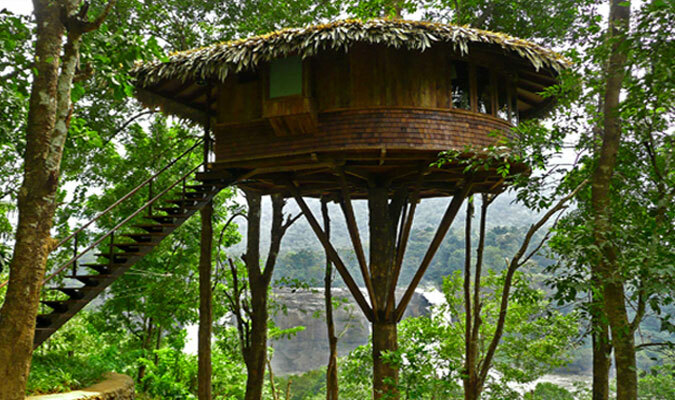 The plush Rainforest Tree House of Athirapally in nestled in the lap of nature, amid a vast expanse of virgin woods, glistening waterfalls and twitter of beautiful birds. The property is spread over an area of seven acres and takes care of the guest with courteous services, virgin beauty of the woods and chic décor. The resort offers five types of accommodation, namely- Luxury Rooms, Premium Rooms, Celestial Rooms, Tree House and Cottage; all equipped with mushy mattresses, spectacular view of the surrounding, elegant décor and much more. The dining area lets you treat your taste-buds with unforgettable taste and your eyes with the beauty of nature. The Rainforest Tree House offers 5 categories in accommodation- Premium Rooms, Luxury Rooms, Celestial Rooms, Cottages and Tree House. These rooms are a beautiful fusion of nature and elegance of luxury. Chic interior and contemporary architecture of the hotel are inspired by earthly tones. 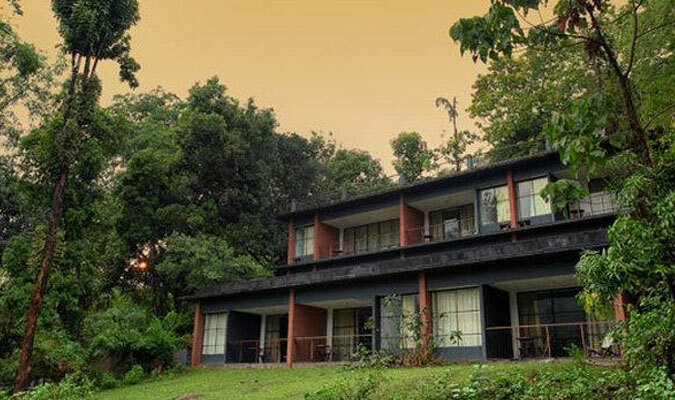 The rooms are air-conditioned with balconies that provide a beautiful vista of greenery and waterfall. Inside the rooms are mini-bar, tea/coffee maker, dressing gown, in-room safe etc. Prompt and gracious services make your stay an easy affair. Enjoy the glimpse of forest and comfort of modernity in the Luxury Rooms. Soak in your in-room Jacuzzi as the bubbles eradicated stress and do some sightseeing right from the tub. The resort houses three dining areas, namely- Foliage, Watering Hole and Charcoal. Foliage is an alfresco restaurant mastering in authentic Kerala cuisine as well as continental fare. The restaurant lets you savor your culinary delights along with panoramic view of the waterfalls and trees. Watering Hole is a juice bar that serves innovative refreshers and Charcoal is a grill and barbecue spot offering lip smacking kebabs and grills.